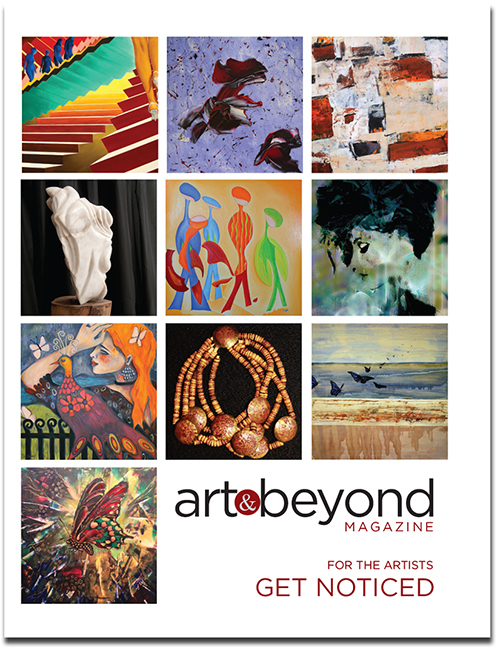 Art & Beyond Publications is offering an array of Memberships for Artists in order to promote their artwork using the Art & Beyond online magazine, online gallery and the print version of the Art & Beyond Magazine. This is a great opportunity for artists to promote themselves and gain additional exposure not only in the United States but Internationally. Art & Beyond delivers your work to galleries, museums and other art institutions. Payments accepted are: PayPal (online submission), money order, cashier’s checks and personal checks (submission by mail). For further information or questions please contact us at: mryk@art-beyond.com. – In this price included Cover Competition Fee for 2 issues in Online magazine. 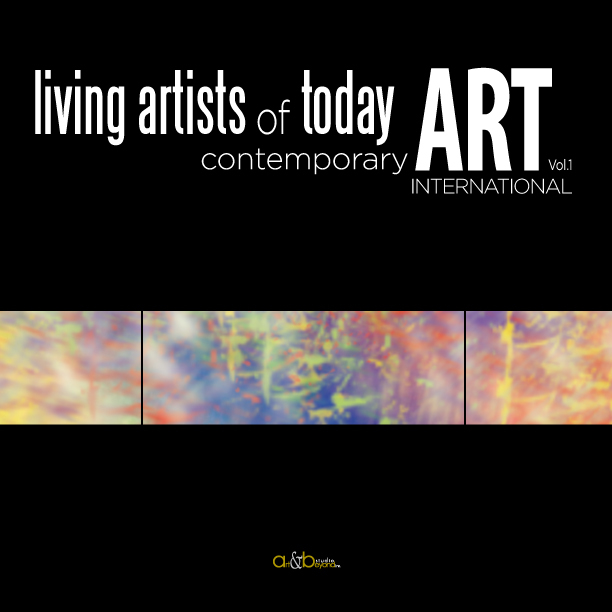 – $30.00 discount per one full page and $15 off of a 1/2 page published in the Art & Beyond Magazine per issue. The Magazine will be distributed to art galleries. – Complimentary three copies for full page and 2 copies for 1/2 page of the printed Art & Beyond version will be sent to the artist free of charge. Artist Basic Membership US $210.00. Price includes publishing in all Six Online issues. – In this price included Cover Competition Fee for 4 issues in Online magazine. – $35.00 off to be published in two issues of the Art & Beyond magazine for both one full page ad (1-2 images, 300 words bio including contact information) and $20.00 off on 1/2 page space (1 image, 100 words bio including contact information). The Magazine will be distributed to galleries. 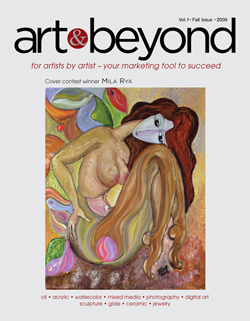 Complimentary three copies of the printed Art & Beyond magazine will be sent to the artist free of charge. Artist Silver Membership US $330.00. Price includes publishing in all Six Online issues. – In this price included Cover Competition Fee for 6 issues in Online magazine. – $40.00 off to be published in 2 issues of the Art & Beyond magazine for one full page ad in each issue (1-2 images, 300 words bio including contact information) and distributed to the galleries. Complimentary three copies of the printed Art & Beyond magazine will be sent to the artist free of charge. Art & Beyond offers the Interview as an additional service with a discounted price of $85 for up to 400 words 4-5 questions One Page and $180 up to 600 words 5-7 questions Two pages. NOTE: Any given discounts within a yearly membership can not be rolled over and not refundable. Please make sure to use your discounts during the year for printed issues. you will be prompt to the payment page. Please click on subscribe button below after complete your Entry Form. Please select payment option above. Checks or Money Order should be made out to Art & Beyond Studio, Inc.
All entries submitted to the competition must be original work. The artist must be the sole owner of the copyright of the submitted images/artwork. Artists accepted to be published will retain full copyrights of their images. Submitting the Entry Form gives Art & Beyond Studio, Inc. the authorization and permission to utilize submitted materials for publication as well as marketing purposes including publicity by Art & Beyond Studio, Inc. Please check this box. It will act as the artist signature for consent. Please click on submit button below to complete your Entry Form and you will be directed to the Payment Page.